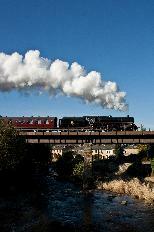 Places to Visit - Local Information for Hadfield, near Glossop, Derbyshire. Local Information for Hadfield, near Glossop, Derbyshire. Places to visit near Hadfield and Glossop in Derbyshire and surrounding Counties of Yorkshire, Cheshire and Manchester City. Below is a list of interesting places to visit near Hadfield and Glossop, Derbyshire with the distance in miles from Hadfield. For further information click on the below pictures. The Longdendale Trail is situated in the Upper Longdendale Valley, within The Peak District National Park, Derbyshire. 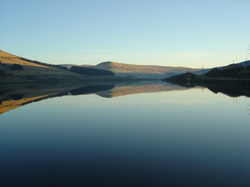 It is a very picturesque valley with its five reservoirs surrounded by high moorland. The Longdendale Trail is 6.6 miles long and runs from Platt Street, Hadfield to the Woodhead Tunnel before crossing the A628 and climbing a steep moorland track towards the Yorkshire border at Salter's Brook. Its level sandy surface makes it suitable for wheelchairs, families with small children and pushchairs. Glossop is a busy, bustling former Victorian cotton mill town and is the largest settlement in the North-Western corner of the Peak District. The name Glossop is thought to be of Saxon origin, however, the area was inhabited long before the Saxons. A Bronze Age Burial Site on Shire Hill and Bronze Age remains around Torside testify to that. Melandra Roman Fort on the outskirts of Glossop is the only significant Roman relic visible in the Peak. It was a small Garrison Fort and is now a scheduled monument in the care of English Heritage. Go back in time on the canal at Portland Basin Museum and Canal Wharf. Stockport Air Raid Shelters are a labyrinth of tunnels under part of the town centre. They provided shelter, and a way of life, for families from Stockport and roundabout, through the dark days of the Blitz. Lyme Park offers a memorable glimpse of a genteel and extravagant age and has now become even better known since its use as 'Pemberley' in the BBC production of the Jane Austen novel Pride and Prejudice. 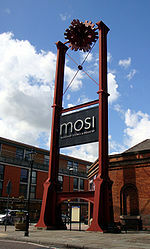 It is managed by the National Trust with support from Stockport Metropolitan Borough Council. Blue John Stone is found nowhere in the world but amongst the rocks of Treak Cliff Hill, Castleton, Derbyshire. Blue John Stone can now be found in only two caverns: Treak Cliff Cavern and Blue John Cavern. This mineral, a colour banded form of fluorspar, has been prized for many hundreds of years. Vases found amongst the ruins of Pompeii are thought to be made from Blue John Stone. 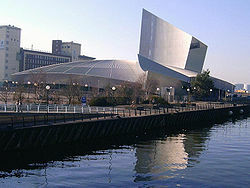 Urbis Exhibition Centre is now the home of the National Football Museum which moved from Preston. The museum opened in 2012. The Whitworth Art Gallery has an Edwardian facade, with a light and spacious modern interior. Home to a famous collection of British watercolours, modern and historic prints, drawings, paintings and sculptures, textiles and wallpapers. Bugsworth Basin began in 1796 as a key transhipment point between the Peak Forest Canal and its tramways for the transport of limestone from quarries around Buxton to Manchester. It grew to become one of the largest ports on the English canal network. 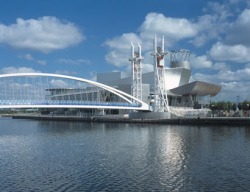 There is something for everyone in The Lowry Galleries. Alongside the lively programme of special exhibitions of modern and contempory art, photography and design, you will always see the work of LS Lowry, one of Britain's most popular and engaging artist. The Manchester Arena is one of the busiest venues in the world and the largest indoor arena in Europe. Opened in 1995, the Manchester Arena has staged the biggest names in live entertainment including U2, The Rolling Stones, Madonna, Lady Gaga, Pavarotti and the record-breaking 2010 / 2011 residency by local comedian Peter Kay. The Imperial War Museum North is an award-winning Museum and its stunning displays provide a unique learning experience for visitors of all ages and backgrounds. Friendly, knowledgeable staff are on hand to help you fully explore the Museum. Holmfirth Village in Yorkshire is the setting for the worlds longest running TV sitcom 'Last of the Summer Wine'. The sitcom started in January 1973 and was filmed for the BBC. Holmfirth is a beautiful village where Last of the Summer Wine fans can visit Sid's Cafe and Nora Batty's house. Even If you are not a fan you can still enjoy the stunning Yorkshire scenery. Ladybower Reservoir which was completed in 1945. The chain of three massive reservoirs provide drinking water for the cities in the North and East Midlands. 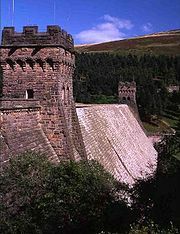 Howden and Derwent dams were used by the famous 'Dambusters' in their tests with the Barnes Wallis bouncing bomb. 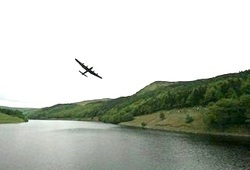 Much of the film 'The Dambusters' was filmed here. The valley is now a scenic tourist attraction, with well marked footpaths, cycle routes, picnic sites and car parking. Edale Valley lies in the Peak District National Park, mid-way between Manchester and Sheffield. Winnats Pass is in the High Peak area of Derbyshire, near Castleton. 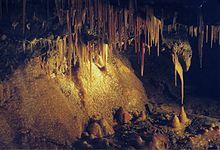 The pass was once thought to have originated as a giant collapsed cavern, however, a more recent explanation is that it was a ravine between the coral reefs that originally formed the limestone here. 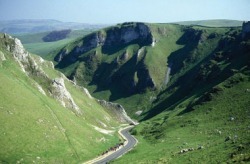 The name Winnats Pass is thought to be the corruption of the name 'Wind Gates'. The Pass regularly features in the Tour of the Peak cycle race each Autumn. 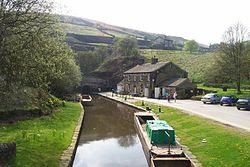 Standedge tunnel is the longest, deepest, and highest canal tunnel in the country. 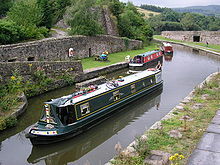 It is nearly three and a half miles long and is on the Huddersfield Narrow Canal, near to the National Trusts Marsden Moor Estate. One of Britain's greatest industrial heritage sites, showing how a complete industrial community lived. A visit to the cotton mill, powered by Europe's most powerful working waterwheel, will certainly stimulate your senses. The clatter of machinery and hiss of steam engines make an astonishing noise. Take a guided tour of the Apprentice House, which housed the pauper children who worked in the mill. Overlooked by Mam Torr and the Norman Keep of Peveril Castle, Castleton is a Peak Gem packed with interesting tourist attractions. There is Peveril Castle and Numerous Blue John Caverns all surrounded by the excellent Derbyshire Countryside. East Lancashire Railway takes you on a captivating journey to discover the region’s rich transport heritage, taking in viaducts, historic towns and picturesque villages and passing through tunnels en route. Over 25 million visitors per year visit The MeadowHall Shopping Centre in Sheffield, Yorkshire. 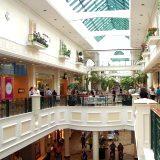 It contains over 280 Stores with a 11 Screen Cinema, Restaurants and The Oasis Food Court. There is free parking with direct access via road, rail, tram and a free landing pad for your helicopter! Eyam in Derbyshire lies in the centre of the Peak District. In 1665 it was struck by the Bubonic Plague and went into voluntary isolation. About half the population of the village died. It has a Hall, museum and a Saxon cross in the churchyard. The Trafford Shopping Centre in Manchester is easy to find with access for cars and buses. It has free car parking and contains over 60 Restaurants, Shops, a 20 Screen Cinema and The Great Hall. 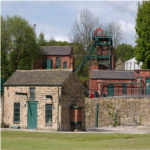 The National Coal Mining Museum in Overton, Wakefield, is located at Caphouse Colliery on the Weston edge of the Yorkshire coalfield. Mining has been carried out at this colliery for centuries. It opened about 1791 and closed in 1985 when the coal seam was exhausted. It has free admission and is well worth a visit. Chatsworth House is a large country house at Chatsworth near Bakewell, Derbyshire. 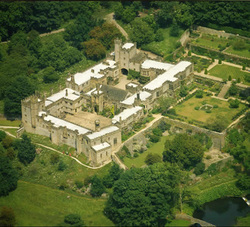 It is the seat of the Dukes of Devonshire, and has been home to their family since 1549. Standing on the east bank of the River Derwent, Chatsworth looks across the low hills that divide the Derwent and Wye valleys. Chatsworth's garden is one of the most famous in England and well worth a visit. Chatsworth has been selected as the United Kingdom's favourite country house several times. Haddon Hall is a fortified medieval manor house dating from the 12th Century, and is the home of Lord and Lady Edward Manners whose family have owned it since 1567. Peak Rail operates throughout the year and all services are currently top and tailed with steam and diesel locomotives. All trains have an on-board buffet coach and a specially adapted coach for wheelchair accommodation. 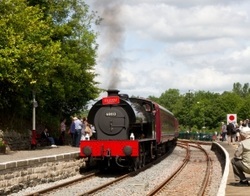 The service operates between Matlock and Rowsley South railway stations. 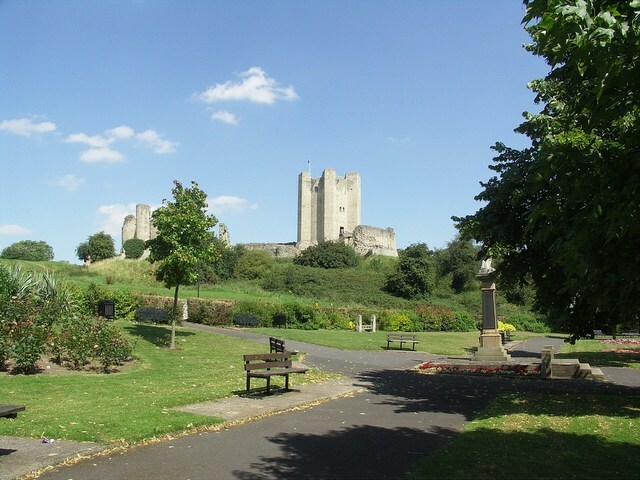 Visit Conisbrough Castle and climb to the top of the magnificent keep for breath-taking views across the breadth of Yorkshire: from Emley Moor in the west to the docks at Goole in the east. Built on the site of a timber motte-and-bailey castle, the white, cylindrical keep of this 12th-century Norman castle is a spectacular structure. Built of magnesian limestone, it is the only example of its kind in England. 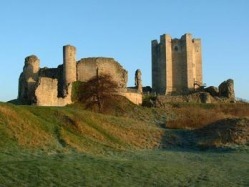 Following the demise of its owners, the de Warenne family, Conisbrough Castle rapidly lost its importance. By the end of the 1400s it had been abandoned as a residence and, ironically, it was its state of disrepair that saved it from destruction during the English Civil War. In 1994, following five centuries of neglect, two new floors and a roof were placed into the castle keep, and today it is considered to be one of the finest examples of medieval architecture in Europe. Experience for yourself the atmosphere of this medieval castle, inspiration for Sir Walter Scott’s classic novel, "Ivanhoe"
Since first opening its gates to visitors in 1780 the Heights of Abraham has remained one of the Peak District's most popular destinations. 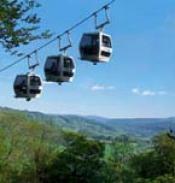 Since 1984 a visit begins with a journey on Britain's first alpine style cable car system. Rising from the valley floor, the observation cars transport you in comfort and allows stunning views of the Derwent Valley and surrounding Peak District. 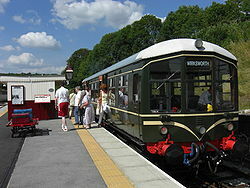 Ecclesbourne Valley Railway operate a tourist passenger services between Wicksworth and Duffield (8.5 miles) and Ravenstor (½ mile up a 1 in 27 incline) using Diesel Multiple Units and steam on special days. Looking for a great day ouy in Derbyshire? 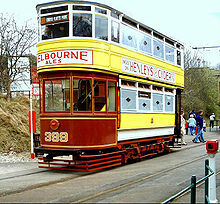 then look no further than Crich Tramway Village. Nestling high up in the heart of Derbyshire overlooking the famous Derwent Valley, Crich Tramway Village is a lovingly restored period village that is also home to the National Tramway Museum and its world renowned archives. The information contained in this website is for general information purposes only. The information is provided by www.hadfieldderbyshireinformation.weebly.com and while we endeavour to keep the information up to date and correct, we make no representations or warranties of any kind, express or implied, about the completeness, accuracy, reliability, suitability or availability with respect to the website or the information, products, services, or related graphics contained on the website for any purpose. Any reliance you place on such information is therefore strictly at your own risk. Through this website you are able to link to other websites which are not under the control of www.hadfieldderbyshireinformation.weebly.com. We have no control over the nature, content and availability of those sites. The inclusion of any links does not necessarily imply a recommendation or endorse the views expressed within them. Every effort is made to keep the website up and running smoothly. However, www.hadfieldderbyshireinformation.weebly.com takes no responsibility for, and will not be liable for, the website being temporarily unavailable due to technical issues beyond our control.